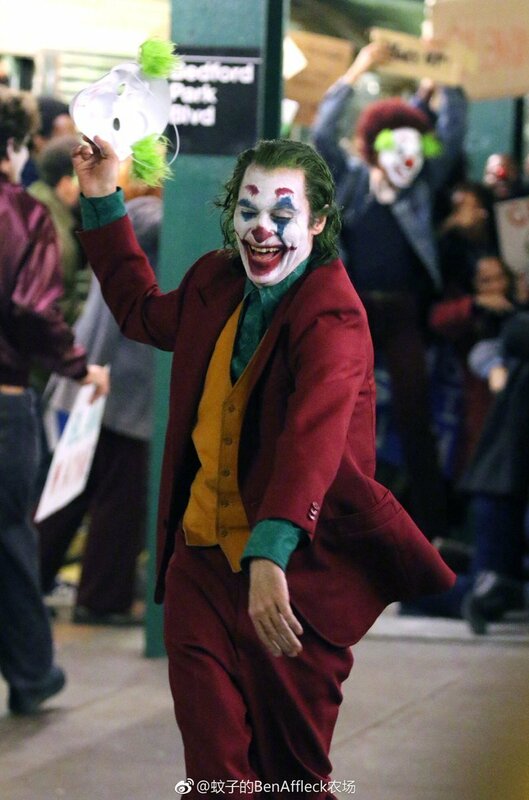 In an era where studios are excessively stingy when it comes to divulging the details of their biggest franchise films, there’s something highly refreshing about the steady stream of pics and videos we’ve been getting from the upcoming Joker movie. 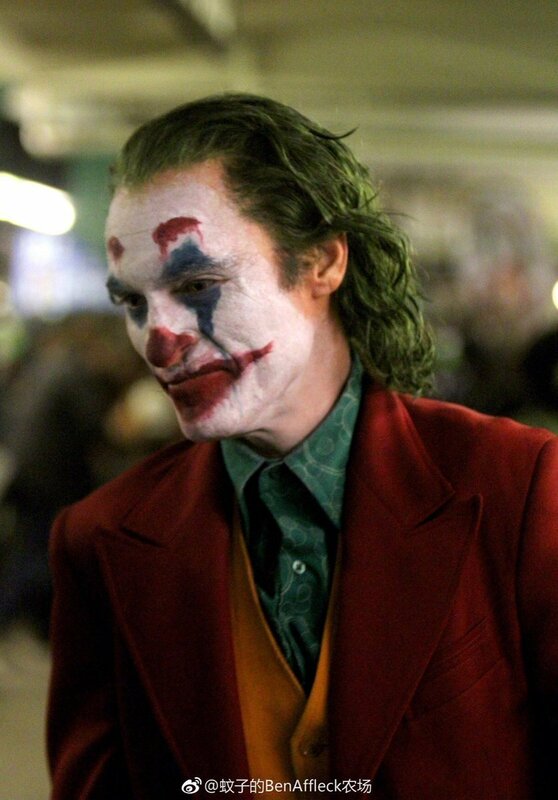 Though the Todd Phillips-helmed film is still over a year away from reaching cinemas, the team have already willingly let slip one of the project’s biggest reveals – that is, the sight of Joaquin Phoenix in full Joker makeup. 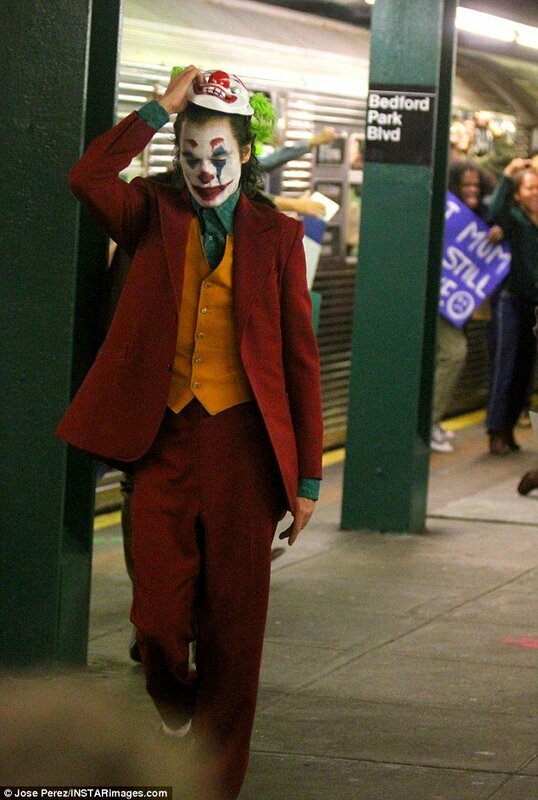 While the recent teaser offered only a fleeting glimpse of Arthur Fleck’s smiling, painted face, we’ve since seen a video of the character casually strolling out of a subway train while his fellow passengers flee in panic. What’s more, if you want a slightly less blurry look at this same moment, bystanders from the set managed to snap a few pics that really bring out the menace and the mischief in Phoenix’s smile. 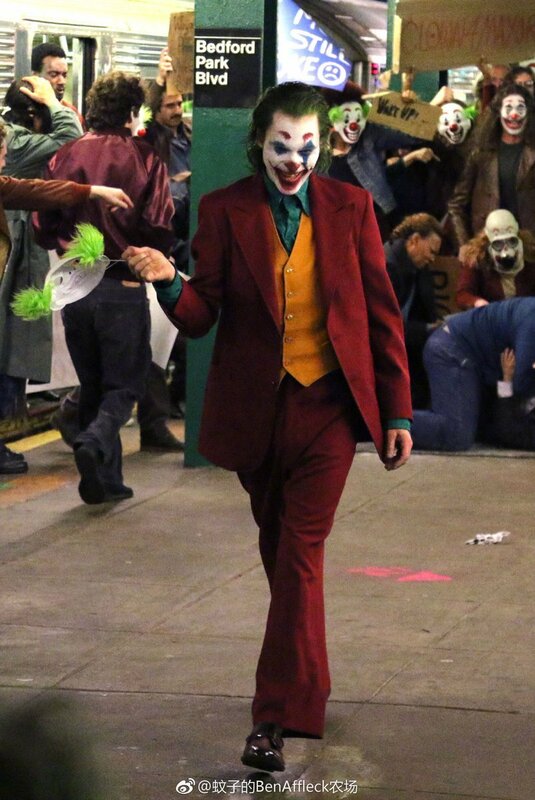 As others have observed, Cesar Romero’s Joker looks to have been a key inspiration for this version’s gaudy get-up, though you can certainly see echoes of Heath Ledger in the character’s moodier expressions. 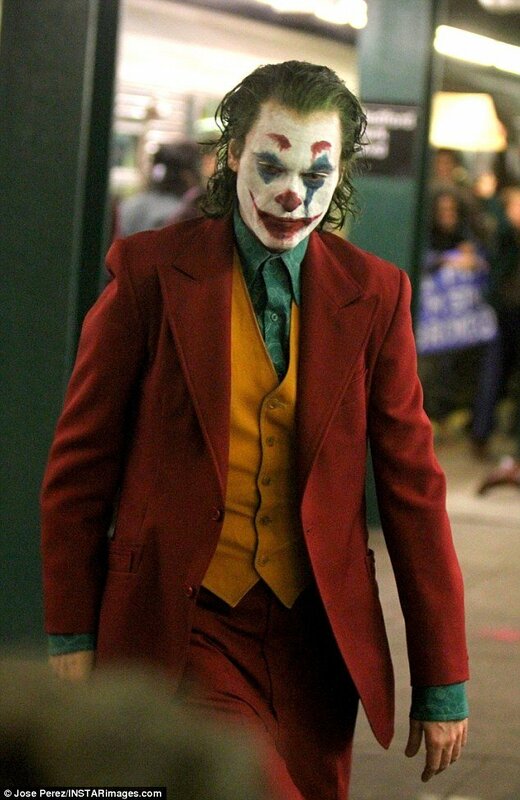 Still, here’s hoping that Phoenix will find a way of transcending his forerunners to create his own distinct but similarly intriguing take on the Clown Prince of Crime. 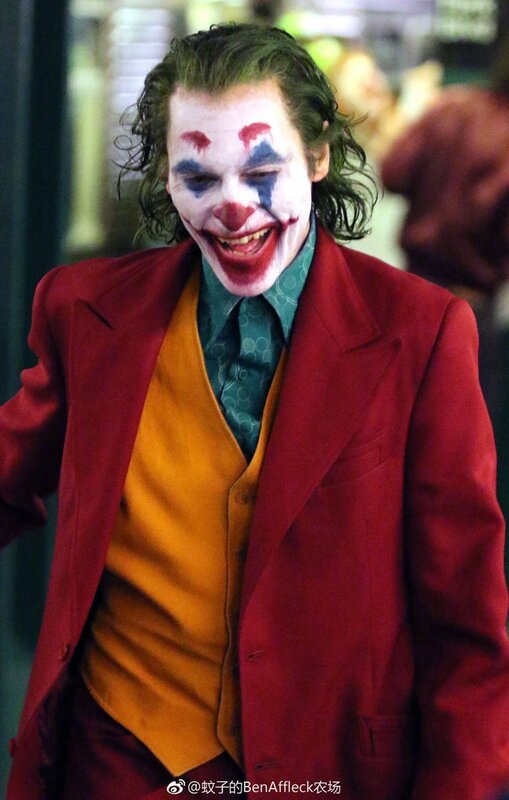 Described by the studio as a “gritty character study,” the picture’s focus will obviously be Phoenix, but he’ll still have a noteworthy supporting cast around him, including Zazie Beetz, who was just seen opposite Phoenix in another recent set photo. The Deadpool 2 actress will be playing Arthur’s love interest, though it remains to be seen whether their relationship will help keep the man sane for a little while longer, or ultimately be what pushes him over the edge. 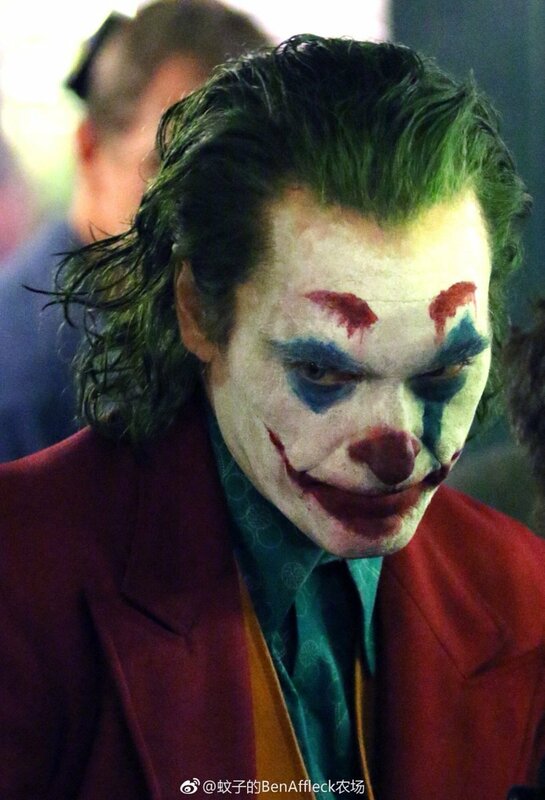 Either way, Phoenix is going to live long enough to see himself become the villain, and we’ll find out how that all unfolds when Joker comes out on October 4th, 2019.